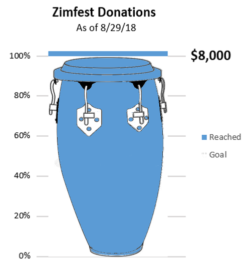 Home › Zimfest News Blog › Posts Tagged "fund raising"
Our long term goal is to have the majority of Zimfest participants be members of the organization. We have seen an increase in previous years. It is our hope that a healthy dialogue about the festival and Association can emerge from a membership that feels a sense of ownership in the Zimfest Association. Membership covers the calendar year January 1st through December 31st. Membership dues are an essential part of keeping Zimfest alive and vibrant. From as little as $10.00 per year for our Youth/Student membership, there are membership categories to fit any budget and situation! Consider Regular, Family, Couple, Teacher, Lifetime, and Lifetime Family memberships. 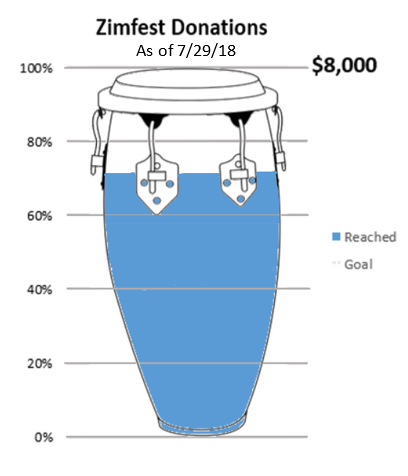 It’s also easy to add a donation to your membership payment. Members may choose to have their names published on the website and in the Festival Guide as a public display of support for Zimfest. Membership fees are 100% tax deductible, for now at least! Please refer to the membership page to renew or initiate a membership. Please write us at gro.t1556025119sefmi1556025119z@sre1556025119bmem-1556025119az1556025119 if you want to clarify your membership status. Join or renew now for 2019. Now is a time when more of us turn to shopping online. I recently signed up for Giving Assistant, which is very easy to use. 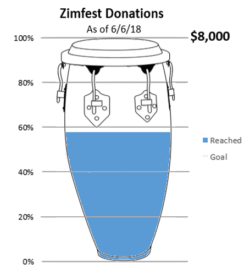 You can earn money for yourself (if you choose) and donate to Zimfest while shopping online at more than 3,100 stores. The Button alerts you to any cash back donations available to activate before you check out. 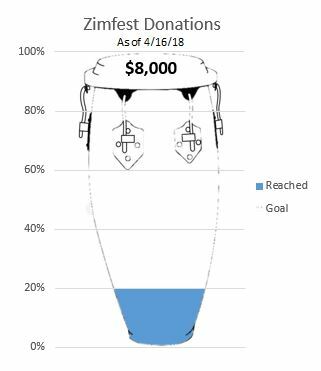 It only takes a minute to set up your account with Giving Assistant, and Zimfest will automatically be selected as your charity of choice if you use this link. 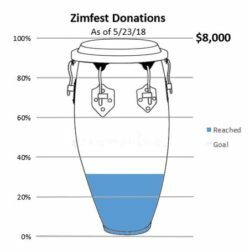 We’d also like to remind you of two other completely painless ways you can donate and help Zimfest on an ongoing basis. Go to the Support Zimfest page for information on Giving Assistant, AmazonSmile and eBay Giving. Thanks for all you do to help make Zimfest a success. Best wishes for the holidays and we hope to see you at Zimfest 2019!